Our rustic log chapel is the perfect place to start your new life together. Wedding packages for every occasion.Christian chapel with ordained ministers. Candlelight or cascading waterfall ceremonies. Everything to make your wedding dreams come true! Envision an elegant wedding atop a Smoky Mountain peak; a cool breeze gently tosses your gown to and fro as you walk into the chapel with your darling. This charming wedding can be yours when you come to Little Valley Wedding Chapel and Reception Pavilion. 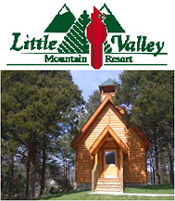 The chapel and reception area can be used free of charge for Little Valley Cabin guests; luxurious, romantic honeymoon cabins are available. 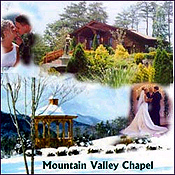 The Creekside Wedding Chapel in Gatlinburg, Tennessee is a full-service facility that provides complete wedding packages including photography, flowers, video services, limousine service, lodging, receptions, and many more specialties to make your special day a moment that you will cherish forever. Creekside Wedding Chapel: where dreams come true. Hold your ceremony at our beautiful outdoor plaza and gazebo overlooking the Pigeon River and your reception in our banquet facilities. Guests can stay in one of our luxurious condominiums ranging in size from one to four bedrooms. After, they can unwind with a relaxing Spa visit or a round of golf. Families can enjoy our Atrium Pool, Lazy River, Game Room and Fitness Center. For wedding packages, call or click. We provide the wedding ceremony or vow renewal that you desire at the location of your choice. 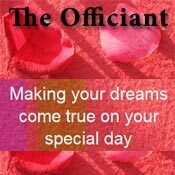 We offer you the choice of choosing your own vows or choosing ones that we offer. Our desire is to help you make your wedding memorable. Announcing a Tennessee and Smoky Mountain area event planning firm that works for and listens to your corporate or social event needs. 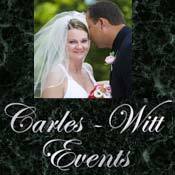 Carles - Witt Events specializes in tailor made events for your next gathering or Tennessee Wedding. We have established a long list of select luxury venues with meeting and convention space to host your event or special occasion. We also have relationships with the most professional vendors in our area including; photographers, videographers, catering, florists, audio visual professionals and some of the most beautiful Tennessee wedding chapels in the area. Smoky Mountains newest, most exciting wedding chapel! Located at The Preserve Resort, our wedding chapel accommodates groups up to 100. 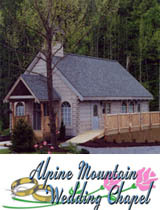 Make memories and enjoy the spectacular mountain views from the wedding chapel and your honeymoon cabin. Wedding packages can include reception, luxurious honeymoon cabin and wedding group lodging in 75 romantic, luxuriously decorated cabins. 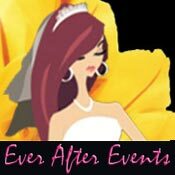 Our wedding planners assist you with every phase and remove the stress. Preserve Resort amenities include pool, walking trails, fitness center, sauna, couples massage. Marry on a Mountain!! 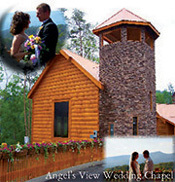 Celebrate your wedding in this magnificent mountaintop chapel. The romantic backdrop of the mountains and foothills and the elegance of the chapel is why so many couples choose Mountain Valley Chapel for their wedding celebration in the Smokies! Seating capacity for 100 and handicap accessible. The Spa at Oak Haven is the perfect addition to your Smoky Mountain wedding or honeymoon! Treat yourself or your wedding party to a relaxing day at the spa. We offer massage, facials, manicures, pedicures, artificial nails, spa parties, etc. Our devoted staff looks forward to catering to your every need! Contact us by phone at 800-368-6615 or 865-453-6650 or visit our site! I provide you with a relaxing and rejuvenating therapeutic massage in the comfort of your own home, or your home away from home while you are on vacation. 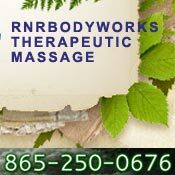 When visiting the Gatlinburg area let me bring the relaxation of the spa to you. One of the best benefits of having the massage at your cabin or home is no traffic worries and after your massage, you can relax in the privacy and comfort of your cabin or home. 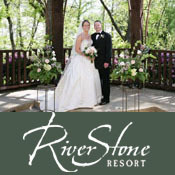 Smoky Mountain�s premier and most complete weddings, honeymoons, and romantic getaway resort. Our 130-Acre mountain top resort allows you to customize your wedding to every detail including fresh flowers, catering, photographs, live music, and much more. Almost Heaven is the place where love is the only language spoken! Call 1-800-771-1207 to make your wedding dreams come true. View the majestic moutains from our glass alter or from our one of kind turret while saying "I Do". We are a full service chapel offering scenic mountain photography, limo services, receptions, flowers, videos as well as 1 to 8 bedroom cabins that have everything from private indoor swimming pools to home theaters. Call 1-800-891-6740 for a wedding coordinator. 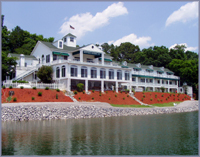 Mountain Harbor Inn Resort on the Lake is a wedding wonderland featuring weddings on the water, weddings inside and outside with the beauty of the lake and the majesty of the Great Smoky Mountains in the background. Elegance, beauty and great wedding planners. Mountain Harbor Inn is truly a Wedding Wonderland . Ask about our Easy Payment Plan and Financing available. Call toll free 1-866-379-1313.